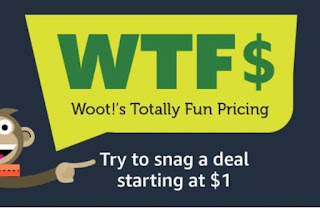 Woot $1 Deals ALL DAY TODAY!!! Grab a Oral-B White Pro 1000 Power Rechargeable Electric Toothbrush, HP 61 Black Ink Cartridge or 3 Pack 45 oz Palmolive Eco Gel Dishwasher Detergent all just $1! NEW ITEMS ADDED ALL DAY EVERY 10 MINUTES! !